As someone who lives in a tiny box room you’d think I’d learn to stop pining over homeware but here I am with a wishlist. It’s like my heart yearns to live in a world of gold polka dots, pastel colours and cute accessories. I've been really drawn to pastel pink accessories, I just think they look so girly, fresh and clean. I'm such a messy cook and definitely need the 'Embrace the Mess' spoon set (how cute is the "spoon me" quote!). The vanity station from Urban Outfitters would be perfect for getting ready on a morning and would hopefully stop me from making so much mess! Even though it's summer, I'm still craving a candy-smelling candle and think the Vanilla Milk Bottles candle from Flamingo Candle would smell delicious. Did you like my wishlist? What is your favourite item? Omg! I love everything here! That mint vanity is to die for, but I wish the food mixer was in the same color. I'm obsessed with mint at the moment. How could I choose a favourite when I love every single one?! I'm obsessed. Haha, so kind Jiahan! Glad you liked the post. I love the soft colors of everything you chose. 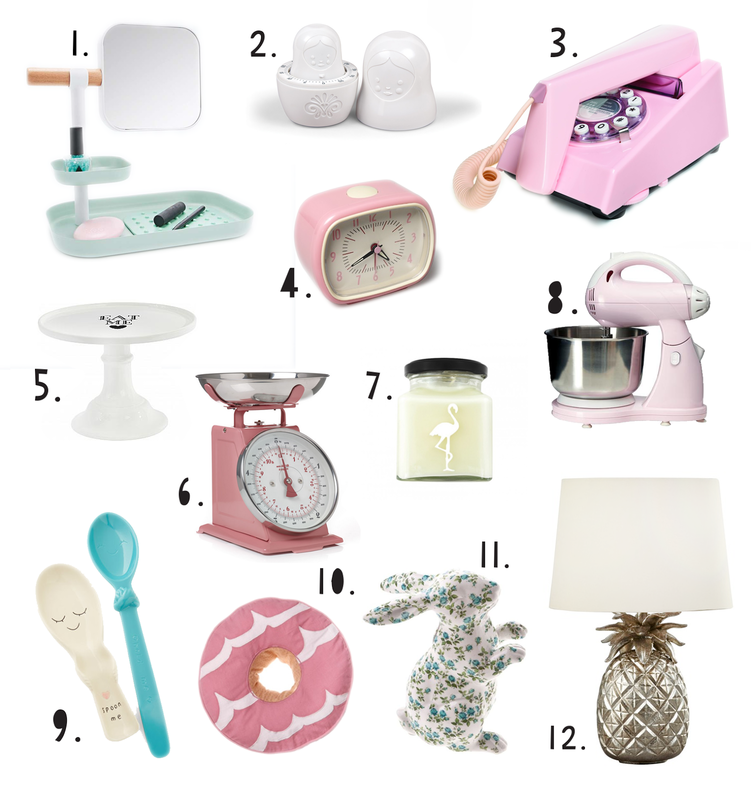 The doughnut cushion and the spoons are my favorite - they are super cute! I'm definitely having a pastel phase right now! Great picks, love the pastel theme! Gorgeous isn't it? I think pastel pink looks so fresh and girly, a nice change from white too.